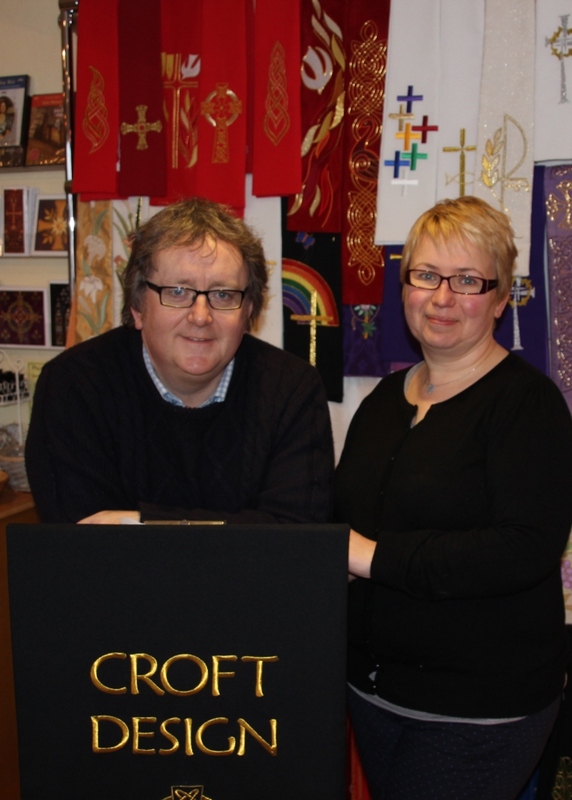 Croft Design is owned and run by Brendon and Julie Quinn. They started the business in 1992 at their home in Much Wenlock, Shropshire. They moved the business to the Bull Ring, in Much Wenlock in 1995. In 2012 the business moved to its current home in Barrow Street. Brendon and Julie are both actively involved in the life of Much Wenlock Parish Church, where Brendon is Director of Music. He has also recently completed an honours degree in music with an emphasis on composition of church music. He was awarded the Archbishops certificate in church music in 1995. Julie completed her honours degree in embroidered textiles in 1991 and has both secular and religious embroidered pieces commissioned worldwide. Croft Design aim to offer high quality and unique design in the service of the church, through experience and reverence of what has gone before and also the embracing of contemporary ideas and technologies.